The Zoom2! In-Office Whitening System is a revolutionary tooth whitening procedure. It's safe effective and very fast. 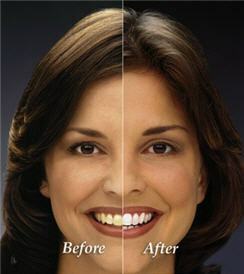 In just under an hour you can have teeth that are dramatically whiter. Zoom2! Whitening is ideal for anyone looking for immediate results. The convenience of Zoom2! in comparison to days of wearing trays and gradual whitening makes it the perfect choice for the busy patient. Drs. Schaeferle & Schaeferle are proud to offer Zoom! In Office Tooth Whitening to their patients in Findlay, OH, Lima, OH, Marion, OH, Bellefontaine, OH and the surrounding areas. For a whiter smile tomorrow contact us today!